The village of Koutouloufari is located on the slopes of Mount Harakas to the south of, and high above, the busy resort of Port Hersonissos. For many visitors the village of Koutouloufari is a well-kept secret and many guests at the large all-inclusive hotels and other accommodation in the Port area and to the east and west of it, are unaware of its existence as the high rise concrete architecture of Port Hersonissos effectively hides it from view in most of the Port area. Even from the harbour itself the village looks like an extension of Port Hersonissos. 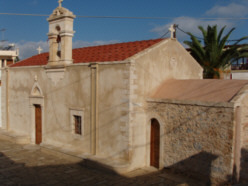 Those that hear about Koutouloufari, and the many that find the village by accident on the last day of their stay, the existence of a Cretan hill village so close to the brash commercialism of Port Hersonisos, comes as a complete surprise, and the phrase ‘we wish we had found it sooner’ is frequently heard! For those ‘in the know’, the village is the centre of their holiday and many return year after year (sometimes more than once a year! ), to visit old friends, and enjoy the selection of restaurants and bars around the village. The central part of the village is a network of paved streets, built in amphitheatre style to follow the contours of the hill and once the climb from the sea is over the streets are relatively flat and lined with many original buildings some of which have been converted to shops, bars, and restaurants. And while there are apartments blocks, these have been built on the outskirts and in such a style and manner that they remain almost invisible. In recent years many of the old dwellings have been reconstructed incorporating original features such as stone arches, making them into desirable modern dwellings! Apart from bars, cafes, and restaurants, Koutouloufari also has a good selection of shops ranging from good quality ladies fashions, through handmade ceramics, glass and other gifts, to some fine jewellery shops selling silver and gold jewelry made on the premises. The absence of through traffic and the relaxed atmosphere makes shopping during the day or late into the evening a pleasure and although there are cars and the ubiquitous scooters passing through the village, these are generally just local traffic. On occasion you will also come across a horse and carriage taking visitors on a sightseeing tour of the villages of Pano Hersonissos and Piskopiano! 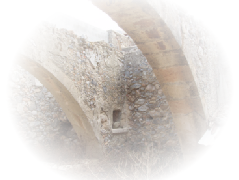 Too often Koutouloufari has been a ‘missing’ village and with this web site we hope to change that and raise awareness of the existence of the village and what it has to offer by offering dedicated advertising and web services just for Koutouloufari! From the east, take the diagonal road up the hill opposite Star Beach (next to Select Supermarket), from the main road in the Port, take the roads heading up the hill next to the Emporiki Bank or the National Bank of Greece. From the western end of the Port take the road next to Halikaidakis Spar Supermarket, go up the hill and take the left turning at the roundabout by the Town Hall. Got a web camera? Do you live in Koutouloufari all year round? 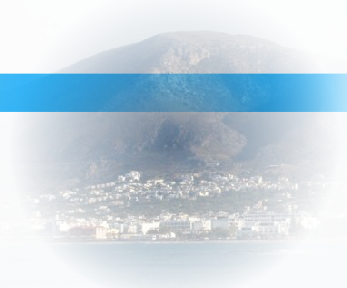 We need a web camera that can be in operation 24/7/365, preferably with a view to the north including Port Hersonissos. We also need 3 or 4 cameras located around the village which can be in operation 24/7 during the tourist season. See the Advertise page for more details.